Are you interested in finding a luxury vacation property in Park City that you and your family can enjoy any time of year? Have you ever considered Park City real estate as an investment opportunity, due to its prime location and historic value growth? Do you currently own real estate in Park City, and are you interested trading-up, trading-down, or adding additional properties to your portfolio? Our team of real estate agents are ready to help you find, buy, and sell your vacation home or investment property, and it all starts with a simple search using our powerful and fully customizable search engine. Do you have questions about real estate in this beautiful and exciting area? If so, please take advantage of our live chat box located just to the right, or call our office at (435) 200-3060. Park City Utah real estate continues to be in high demand because of its stunning beauty, prime location, cultural significance, and recreational attractions. Three world-class ski resorts, and the Utah Olympic Park, offer families a unique opportunity to indulge in a wide variety of winter sports. And while this amazing area is most famous for its winter-themed recreation, endless opportunities for fun in the sun await during the warmer months of the year. Lush golf courses, endless hiking and biking trails, fishing and boating on nearby rivers and reservoirs, and swimming in local hot springs means that you don't have to be a ski bum to enjoy the outdoors. Voted one of America's top 20 "Prettiest Cities" by Forbes magazine, Old Town also boasts a wide array of upscale boutiques and retailers, clubs, bars, fine dining establishments, and "The City Park." Park City Utah is also home to the Sundance Film Festival, an annual event which happens to be the largest independent film festival in the United States. One of the most appealing aspects of this area is its prime location - a mere 30 minute drive from Salt Lake International Airport. So, whether you live in Los Angeles or New York City, you are always within short reach of your own personal vacation paradise. This is just another reason why Park City real estate offers more than just a place to escape with your family for a weekend getaway - it is also a unique investment opportunity that could pay dividends as the property matures. Whether you're looking to buy or sell we can help you decipher the current trends in the local market so that you can negotiate the best price. Undoubtedly, you're hoping for a smooth transaction, and that's where our years of experience comes into play. Whether you're looking for a cozy cottage or an opulent ski in/ski out estate, there has never been a better time to invest in Park City Utah real estate than right now. This also means that sellers are enjoying the fruits of their own investments, as demand for luxury properties in the region surges. Historically, investments in the area remain strong, even as the housing economy nationwide ebbs and flows. If you're a current real estate owner, there are tax incentives that you may want to consider if sale of your investment property is imminent. A 1031 tax deferred exchange allows you defer capital gains tax from the sale of real estate as long as you reinvest into a "like" property within the guidelines of the IRS rules. Our agents have helped facilitate numerous Utah 1031 exchanges over the years, and we can help guide you through the process from start to finish. This means that you can upgrade your vacation home or rental, without paying expensive capital gains taxes. We can help you find the perfect property if reinvesting in the area is something that you find appealing. Ready to get started? Our Park City real estate search engine will allow you refine your search in just about any way you can think of. 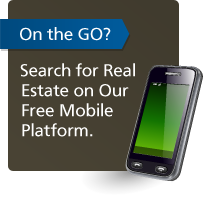 Whether you're looking for condos, homes, land, development parcels, luxury properties, or just want to browse home foreclosures, the power to search in whatever way you like is at your fingertips. If you have questions, or are considering the sale of your property, you can use our live chat box to interact with an agent, or call our office at (435) 200-3060. From luxury vacation homes to exciting investment properties, we are ready to help get you the best deal possible.